Ford says the new Cobra Jet will be the fastest factory-built Mustang ever, with a quarter-mile time of about 8.5 seconds. Canada will get a very limited number — of an already extremely small lot — of the 2018 Mustang Cobra Jet drag strip cars, Ford Canada confirmed Thursday morning. Ford Motor Co. said out of Detroit on Wednesday that it will make just 68 of the vehicle in honour of its 50th anniversary. Ford Canada spokeswoman Christine Hollander didn’t have many details about the car’s availability north of the border. She could only confirm a “very limited” number will be sold in Canada. 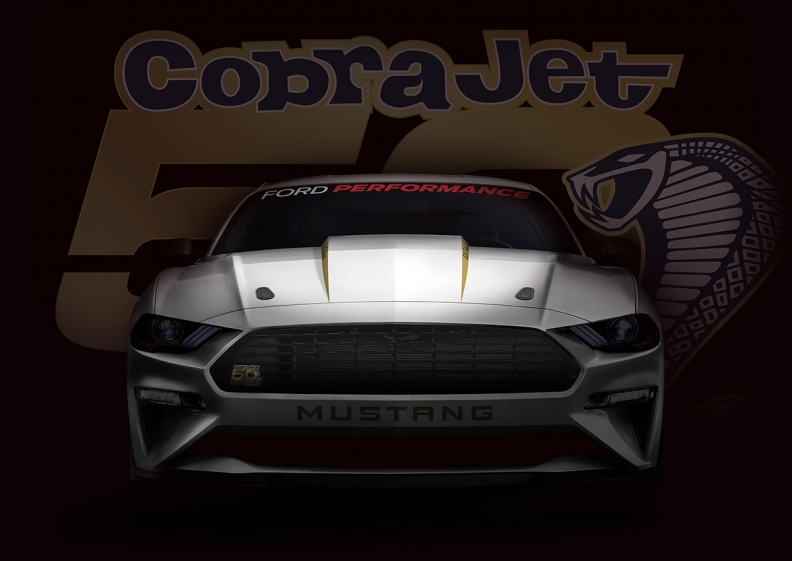 The automaker said the new Cobra Jet will be the fastest factory-built Mustang ever, with a quarter-mile time of about 8.5 seconds. It can also top 240 km/h (150 mph). Ford last offered a Cobra Jet in 2016, when it produced 50 of the track-ready race cars. The vehicle will come with a supercharged 5.2-litre Coyote V8 engine and unique four-link rear suspension tuned by the Ford Performance team. It will be offered in either red or white and come with a special 50th-anniversary badge and graphics package. Ordering details will be released in the summer, Ford said. It's unclear how much the vehicle will cost. Ford introduced the Mustang Cobra Jet in 1968 as a way to compete — and win — on drag strips across the country.